In terms of suffering caused, there is often not, in fact, much to choose between dismembering and burning people alive with high explosives, shredding them with shrapnel, and choking them with poison gas. Modern ‘conventional’ weapons can be far more cruel and devastating than, for example, chlorine gas. But chemical weapons, prohibited by international law, are extremely potent in allowing Western ‘humanitarians’ to justify ‘intervention’ in response to crimes – real, hyped or imagined – that the West has itself far surpassed using more respectable forms of mass murder. Noam Chomsky has observed that ‘propaganda is to a democracy what the bludgeon is to a totalitarian state’. This is certainly true for social control at home, but propaganda also allows nominally democratic states to wield their military bludgeons abroad in much the same way as totalitarian states. Thus, in April, it happened again: the entire corporate media system rose up with instant certainty to damn an enemy state for crimes against humanity on April 7, in Douma, Syria. This was not acceptable death by bomb and bullet; this was a nerve gas attack. The villainous agent on every journalist’s lips: sarin, a highly toxic synthetic organophosphorus compound that has no smell or taste, but which quickly kills through asphyxiation. It means destroying Assad’s combat planes, bombers, helicopters and ground facilities from the air. It means challenging Assad’s and Russia’s control of Syrian airspace. It means taking out Iranian military bases and batteries in Syria if they are used to prosecute the war. No matter, on April 14, three days after Ritter’s article appeared, the US, UK and France attacked Syria in response to the unproven allegations. I was with my family in the basement of my home three hundred metres from here on the night but all the doctors know what happened. There was a lot of shelling [by government forces] and aircraft were always over Douma at night – but on this night, there was wind and huge dust clouds began to come into the basements and cellars where people lived. People began to arrive here suffering from hypoxia, oxygen loss. Then someone at the door, a “White Helmet”, shouted “Gas!”, and a panic began. People started throwing water over each other. Yes, the video was filmed here, it is genuine, but what you see are people suffering from hypoxia – not gas poisoning. 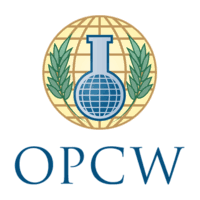 The OPCW has been racing against the clock to collect samples from the site of the attack, a three-storey house in Douma, in which scores of people died in a basement. Jerry Smith, who helped supervise the OPCW-led withdrawal of much of Syria’s sarin stockpile in 2013, said samples of nerve agent rapidly degrade in normal environmental conditions… The Russian military and Syrian officers have had access to the house since last Thursday, raising fears that the site may have been tampered with. However, Smith said it was likely that residual samples of nerve agent would remain for at least another week, even after an attempted clean-up. Before we examine ‘MSM’ reaction to the OPCW report, particularly to the failure to find ‘organophosphorus nerve agents or their degradation products’, let’s look at their initial reaction to claims of a nerve agent attack on April 7. The victims were found exactly where they had been when the gas hit. Their silent killer had given little warning. Medics on the ground reported smelling a chlorine-like substance, but said the patients’ symptoms and the large death toll pointed to a more noxious substance such as nerve agent sarin. Ibrahim Reyhani, a White Helmet civil defence volunteer, said anyone who touched the bodies started getting sick, and said he believed a mixture of sarin and chlorine had been used. ‘There have been a number of chlorine attacks, but it would appear that chlorine, although outlawed by the Chemical Weapons Convention, is below the threshold for the UK and France to strike. Which doctors? Note the absence of named, checkable sources in a story written some distance from Damascus. This was typical of almost all western media reports of the episode at the time. The deadly attack in Douma in April left dozens of civilians dead and caused and international outcry. The report said two samples from gas cylinders recovered at the scene tested positive for chlorine. This is a classic example of a technically-correct claim that is completely misleading. In debris and on other items around the cylinder, chlorine compounds were found – but these are common compounds that would be unlikely to be formed simply by chlorine reacting with something on site. No, the OPCW didn’t say that. It found traces of chlorine on the scene, which it would find in your house or office or water supply too, if sampled. Try actual #journalism. As Off-Guardian noted, the headlines should have read: No nerve agents found. Remarkably, these rare mentions aside, the OPCW interim report has been ignored by most major newspapers and media, including the Guardian. This article was posted on Tuesday, July 17th, 2018 at 8:26am and is filed under Media, Narrative, Propaganda.